Globuar clusters come in all shapes and sizes. These large clusters of hundreds of thousands or millions of stars are sometimes dense and hard to resolve in the core; others are relatively sparse, even looking like open clusters. This image shows examples of both extremes. 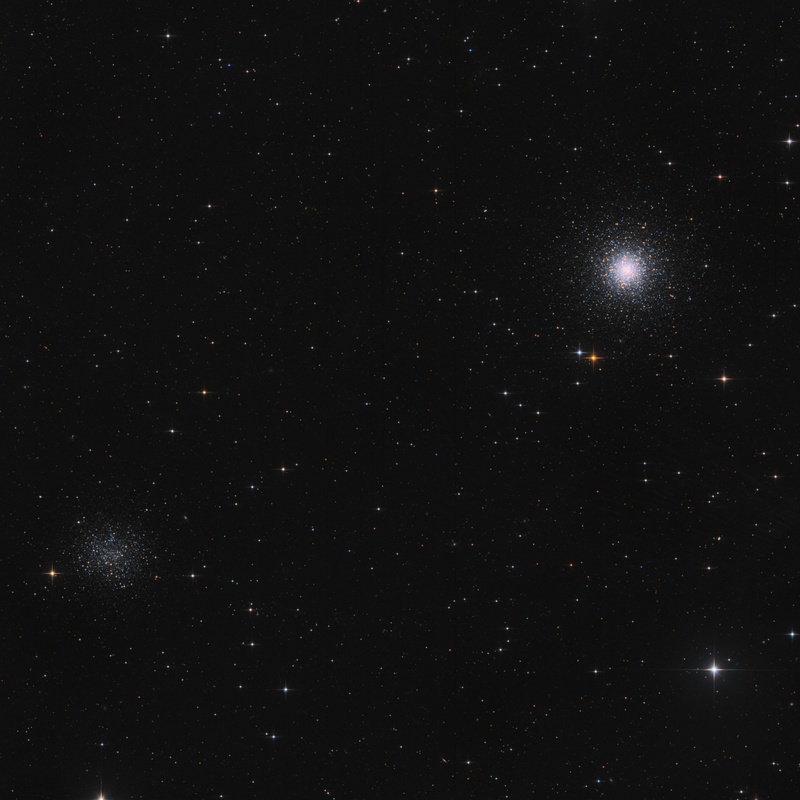 Messier 53 (upper right) and NGC 5053 (lower left) both lie in Coma Berenices. Messier 53 has a densely packed core; NGC 5053 is quite diffuse. They look very different even though they’re at similar distances from us, approximately 50 to 60,000 light-years away.